Curious Unlimited is the portfolio of Jill Whysel, an award-winning creative director based in San Francisco. 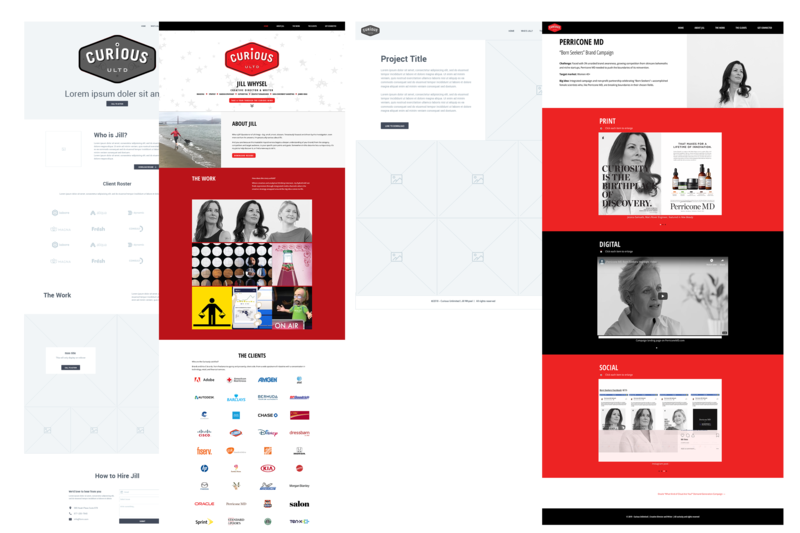 The user and visual experience needed to reflect the concept of curiosity connected to the visual brand as well as color scheme and portfolio layout. A set of high-definition wireframes were designed followed by visual design and coding in WordPress.